Child tickets are smaller sub-tickets added to the parent ticket. They help to resolve issues faster by dividing a ticket into smaller sub-tickets to be worked on in parallel by different agents. 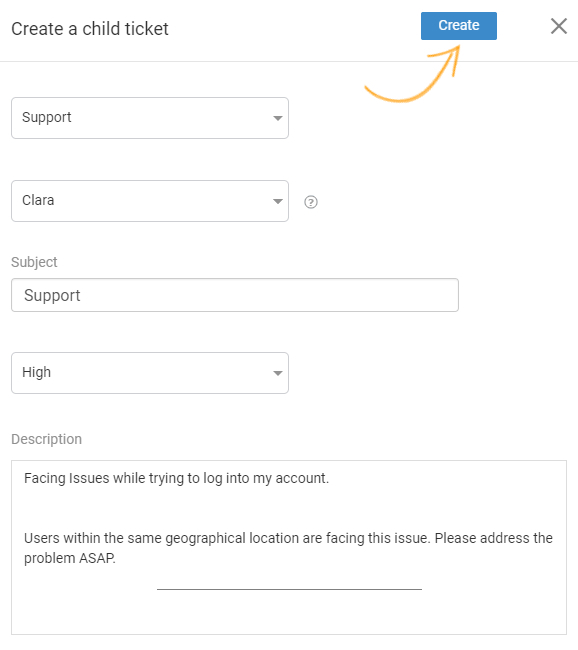 Step 2: To add child ticket to a ticket(referred to as parent ticket), open the parent ticket and click the icon for 'More' options from the header menu. Step 3: Click "Create Child Ticket." Step 4: The child ticket dashboard will slide open. Customize details of the child ticket and click "Create." 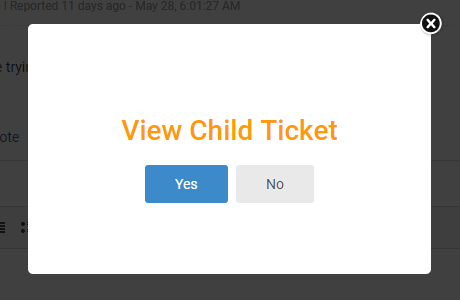 The below image depicts the confirmation message with an option to view child ticket. You can add multiple child tickets to a parent ticket. The parent ticket can only be closed once all the corresponding child tickets are closed.